All About Coffee: What is a Macchiato? All About Coffee: What is a Macchiato? →All About Coffee: What is a Macchiato? All About Coffee: What is a Macchiato? When it comes to coffee-based beverages, the options will be almost endless. You will most probably end up being confused upon entering a ﻿﻿coffee shop and seeing a menu board full of choices. Among others, one of the most common drinks served would be a macchiato. If you are a novice and you have no idea on what is a macchiato, keep on reading the rest of this post and we will be sharing with you some insights that you have to know, including how it can be prepared and how it is different from other common coffee-based drinks. Also commonly referred to as espresso macchiato, it is simply an espresso﻿ drink that is combined with foamed ﻿milk, although there are also instances wherein the milk that is added to the drink is not foamed. Macchiato is an Italian word, which means spotted or stained. Therefore, if we take it literally, café macchiato simply refers to spotted or stained coffee, the milk being the one that is responsible to what is referred to as spot or stain. In Italy, traditionally, cappuccino is consumed only in the morning. In the afternoon, they drink macchiato. This is also a great option for people who find espresso too strong for their liking. The addition of milk slightly alters the flavor to somehow minimize the robustness of coffee. Depending on where it is ordered, macchiato can exist in different forms. The main difference lies on the additives that are being used. Different people have different preferences. 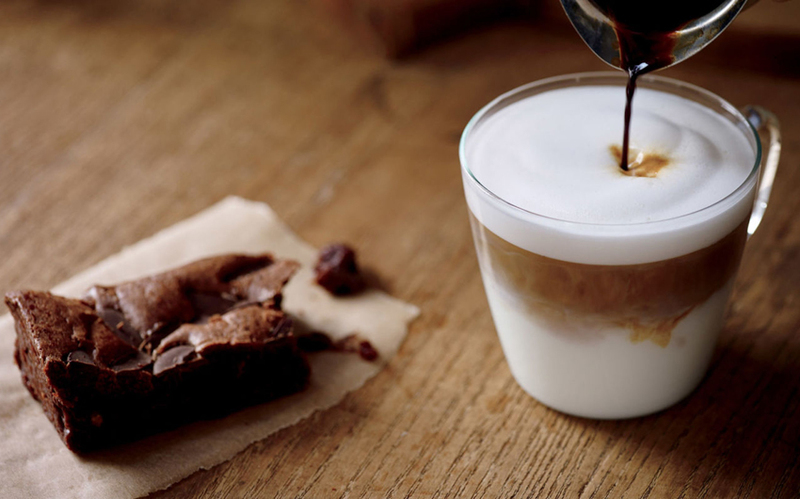 Some of the most common types of this drink will include Caramel Macchiato and Hazelnut Macchiato, which are traditionally sweeter compared to the traditional forms of macchiato. Macchiato is traditionally served hot. However, there are also some people who prefer to have it iced. Once ice has diluted, this can result into lesser coffee taste because of the addition of more water. Start by having your milk steamed. The manner at which this is done is similar to how you prepare milk for other drinks, such as a cappuccino. Ideally, the temperature of the milk should be 155 degrees Fahrenheit, but it should never reach its boiling point. This is one thing that requires thorough attention since milk will have a huge influence on how your macchiato will taste. Place the tip of the nozzle on the surface of your milk. Have it swirled gently. This will mix the milk with the foam. Ideally, they should not separate until the point that they will be poured into a cup. Keep on doing this until the content of the cup has doubled. Now, prepare your espresso shot. Preferably, you need double shots. This is one thing that should be easy, provided that you have a high-quality espresso maker at home. Have the espresso transferred into a cup and top it off with the milk that you have earlier prepared. Make sure to put only the right amount of milk, which should not be more than the amount of the espresso in your cup. In knowing what is a macchiato, another thing that will prove to be essential would be knowing what makes it different from the other types of coffee-based drinks that you will equally find to be great. When compared to espresso, the main difference is that the latter is stronger when compared to macchiato. This is basically because espresso is plain and macchiato, on the other hand, is already mixed with milk, which tames down the taste of coffee. The taste of macchiato is close to what you can expect from a cappuccino, although technically, the two are still different in terms of their composition and preparation. A cappuccino contains and espresso shot, steamed milk, and milk foam. In many coffee shops, they are finished with a drizzle of cocoa powder on the top. Latte, on the other hand, literally means milk coffee. It is made from a double shot of espresso, steamed milk, and a layer of foam on the top, which usually has a thickness of one centimeter. One of its traditional characteristics is that it comes with a latte art, which can be prepared by your barista. This may be a bit hard to learn on your own, but the good thing is that it will still be called a latte and it will taste the same even without art on top. Coffee can be confusing. With the different types of beans and different drinks that are prepared, you can be overwhelmed. Being armed with the right knowledge will be a big help so that you will know what suits your personal preferences.